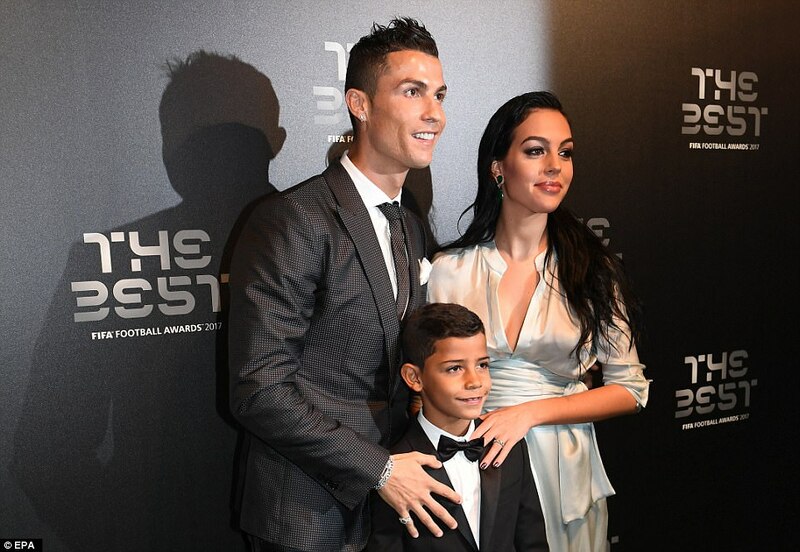 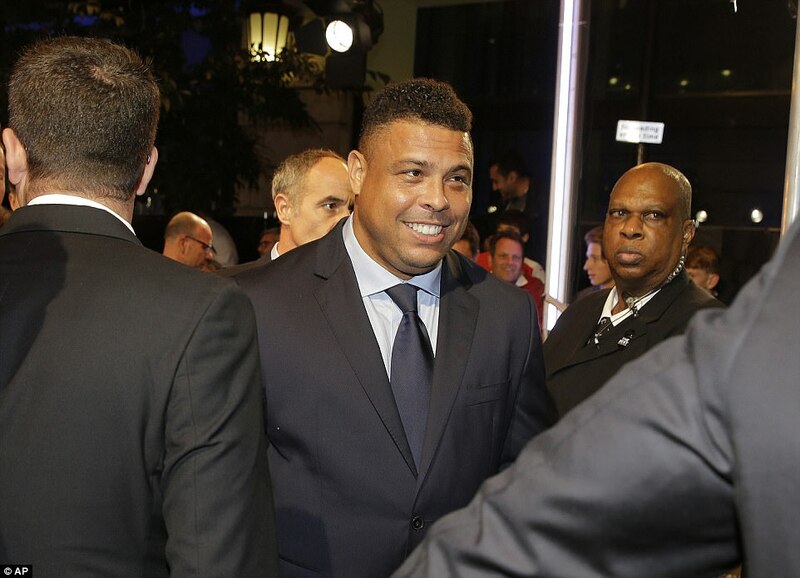 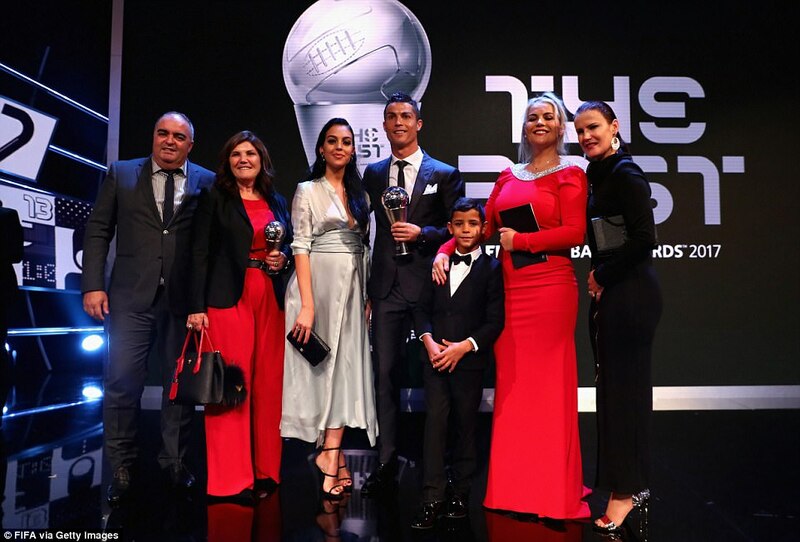 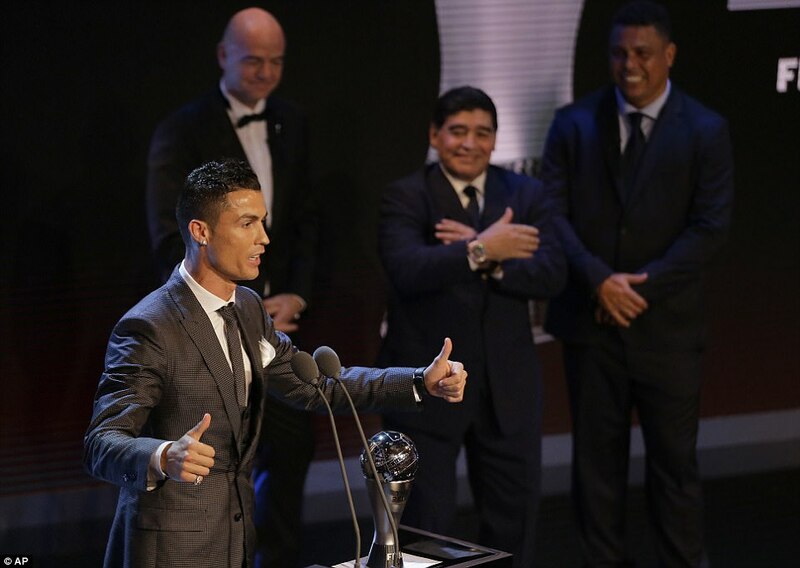 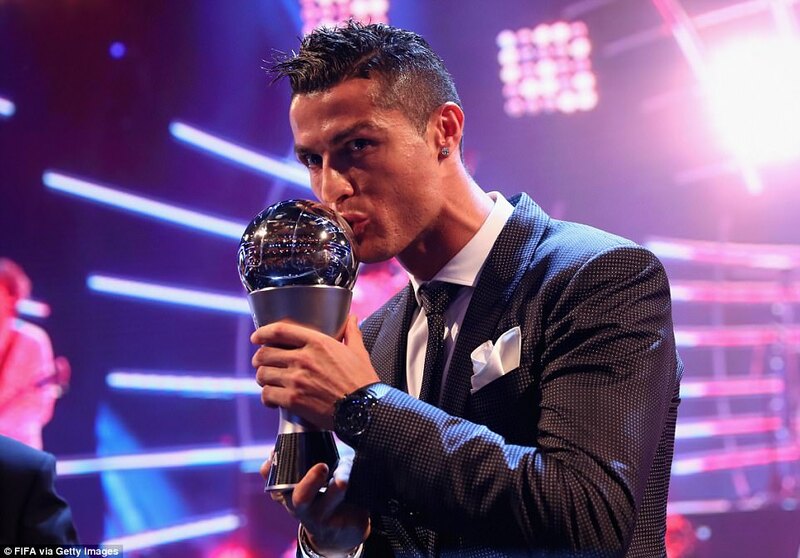 ‘Thank you a lot guys for voting for me,’ Ronaldo said after picking up the award. 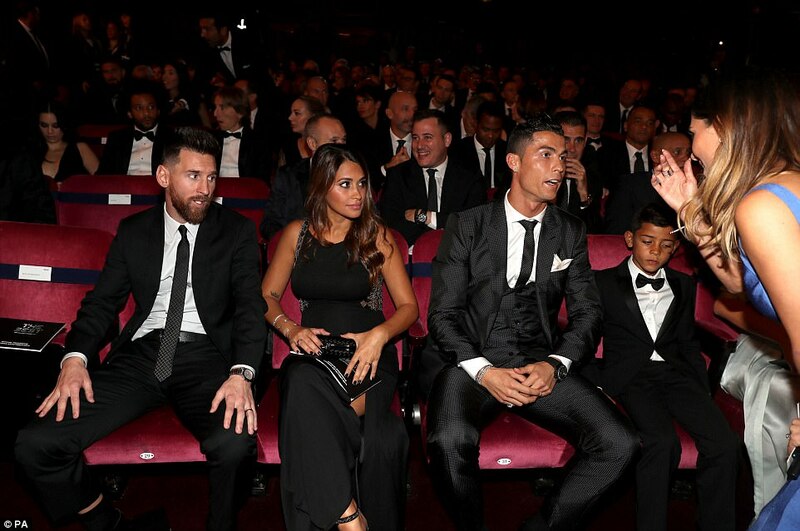 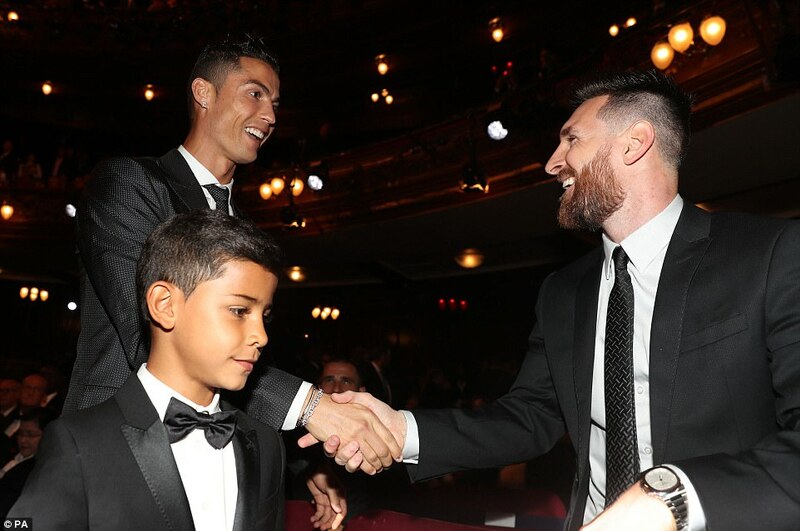 ‘(I would like) to give a mention to Leo (Messi) and Neymar for being here. 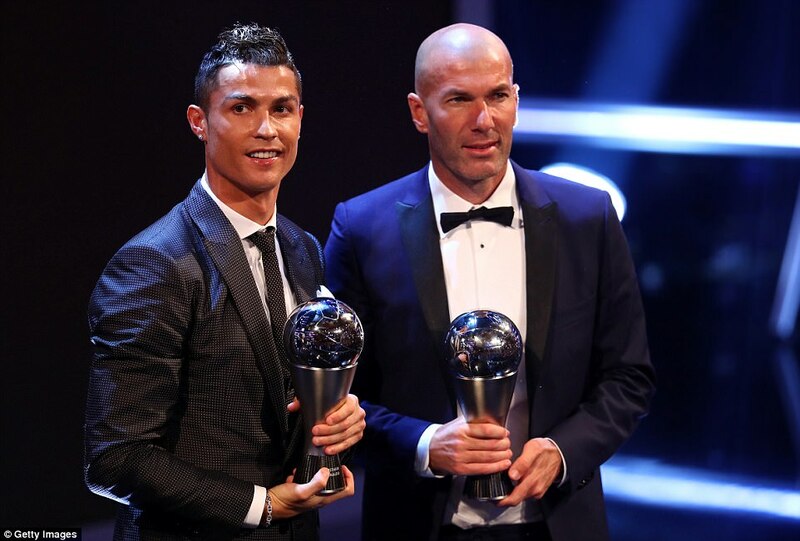 Real Madrid supporters, my team-mates, coach, president, all support all through the year so I have to say thank you to them. 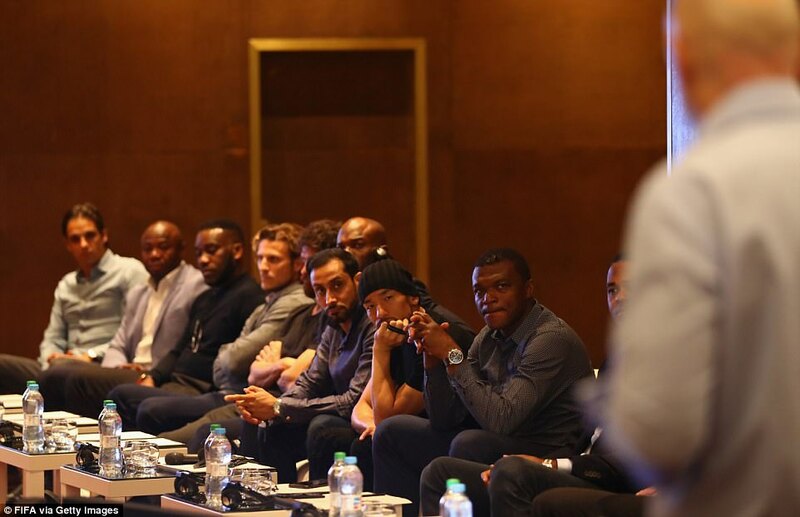 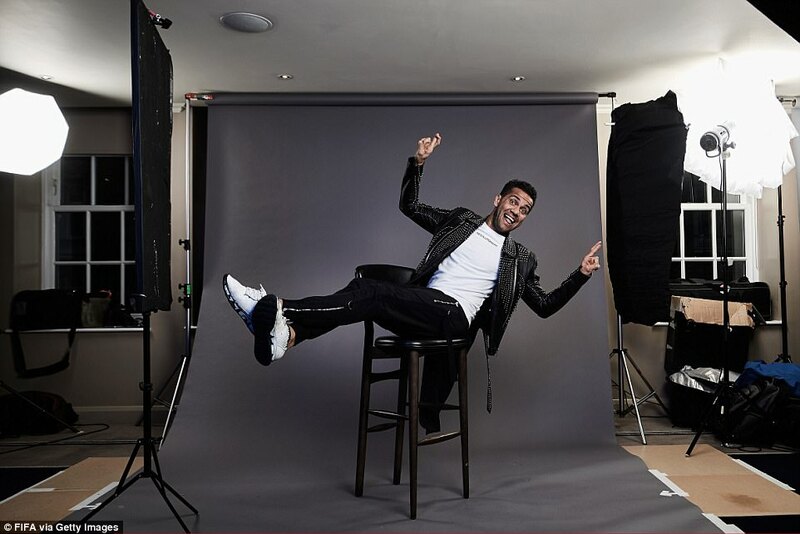 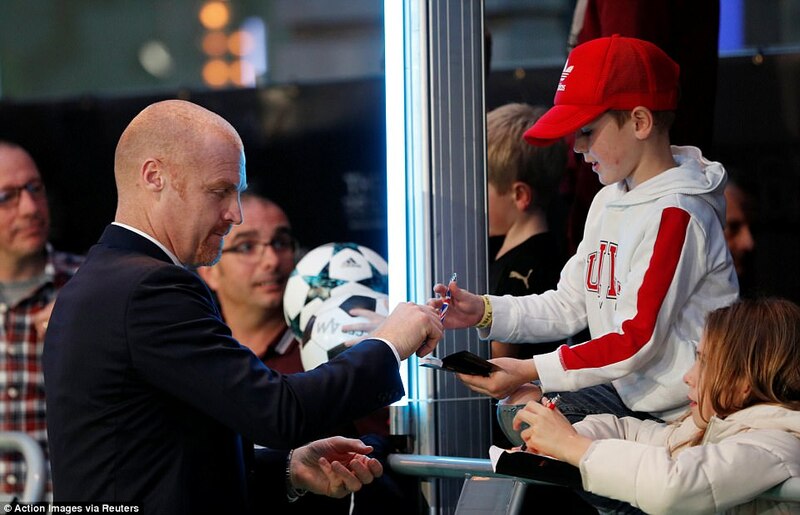 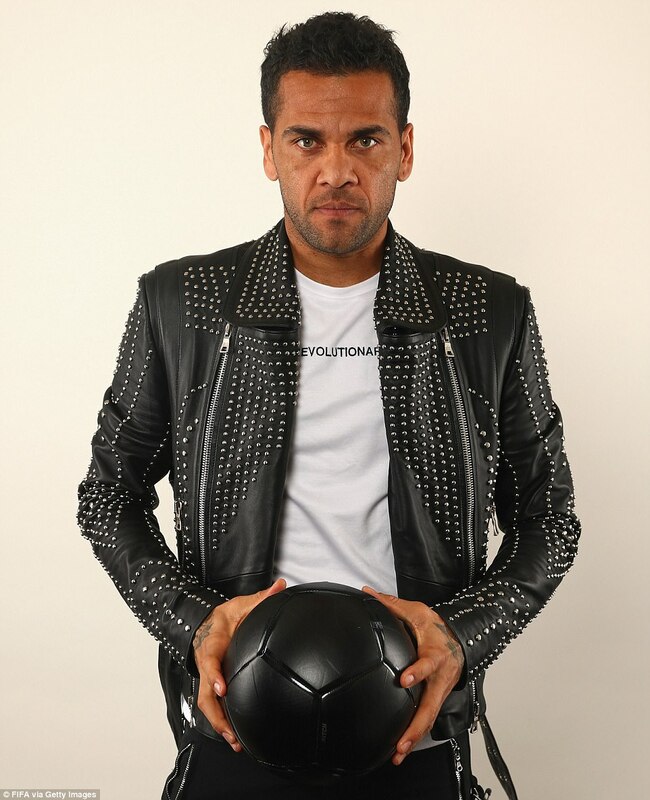 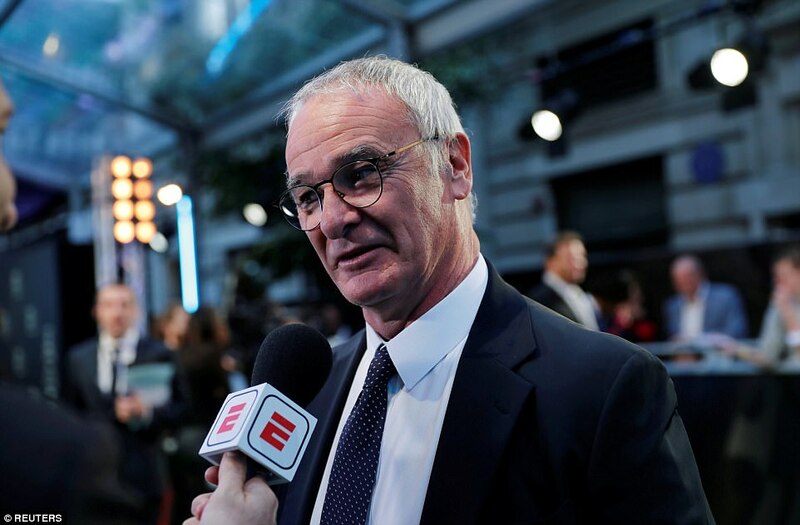 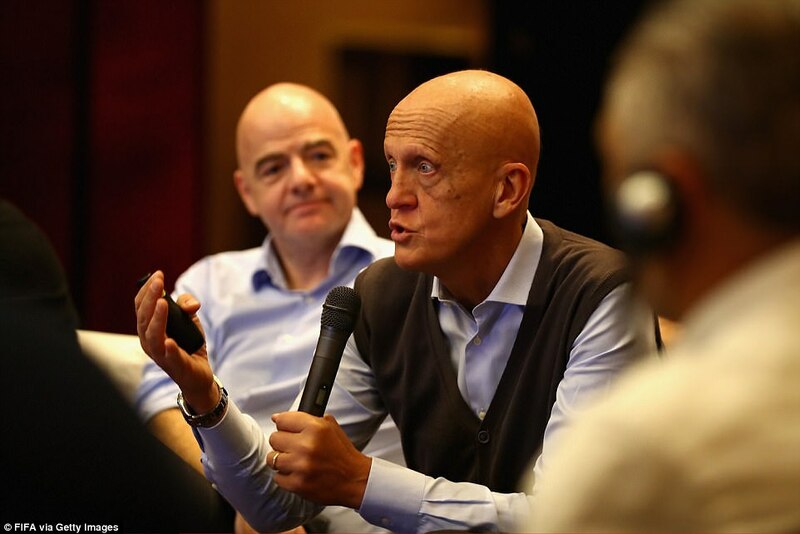 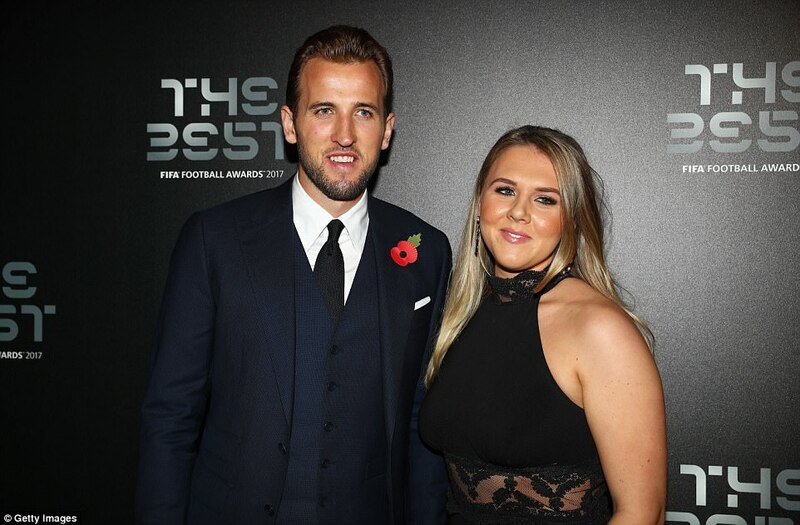 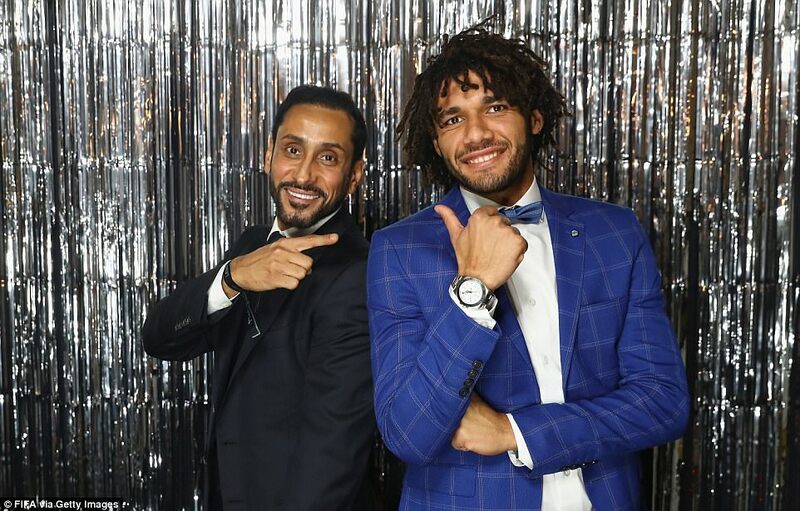 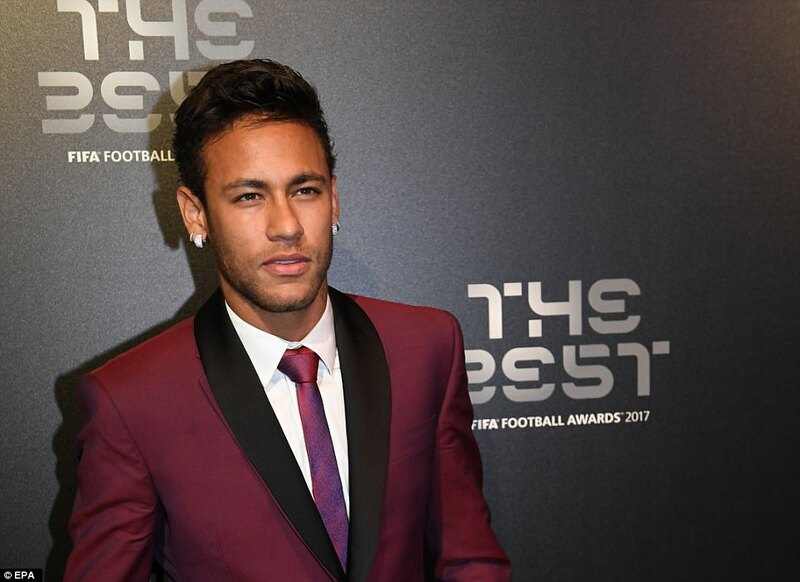 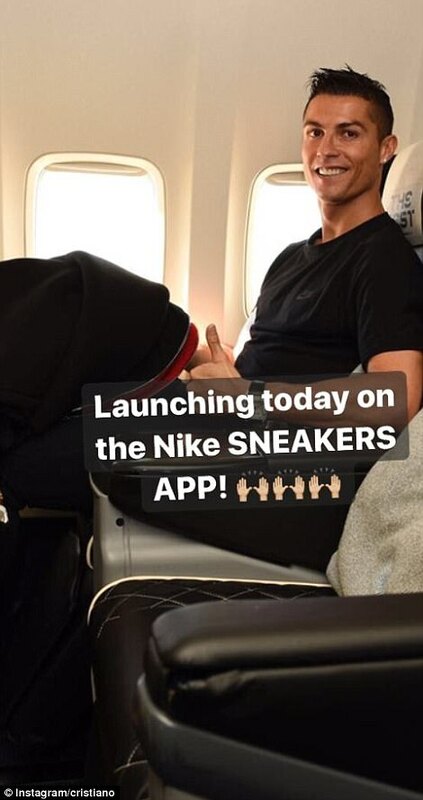 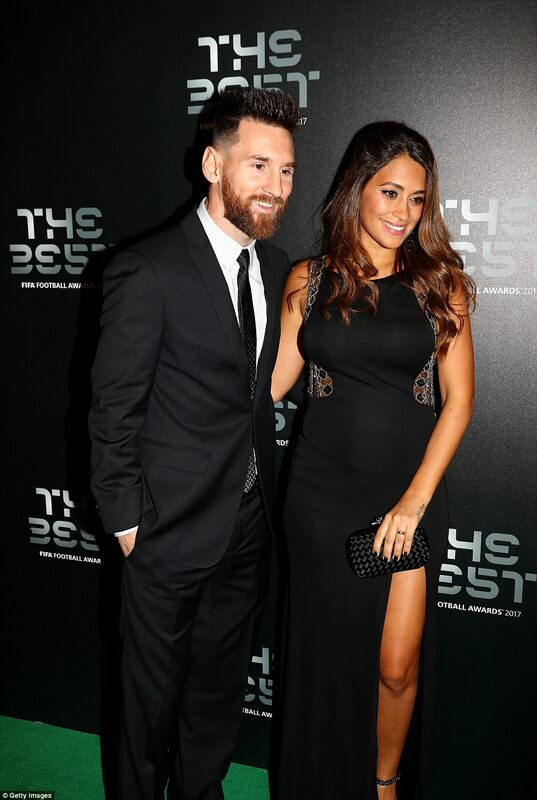 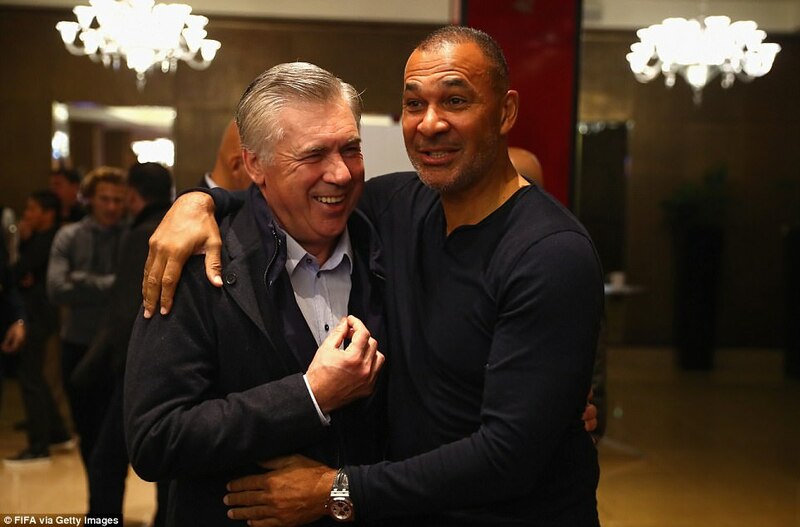 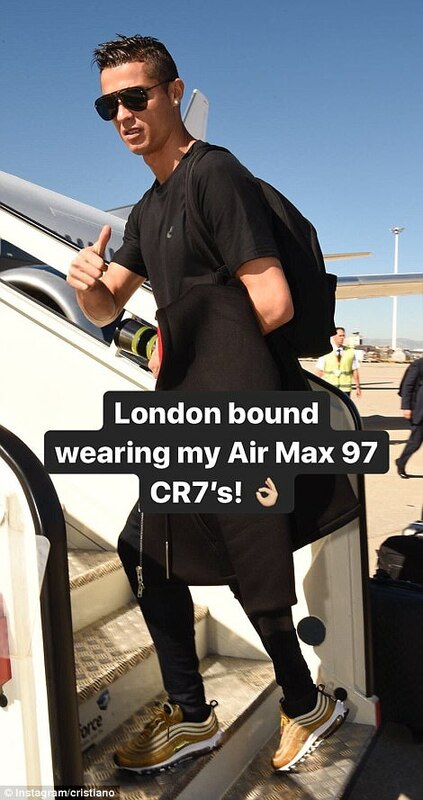 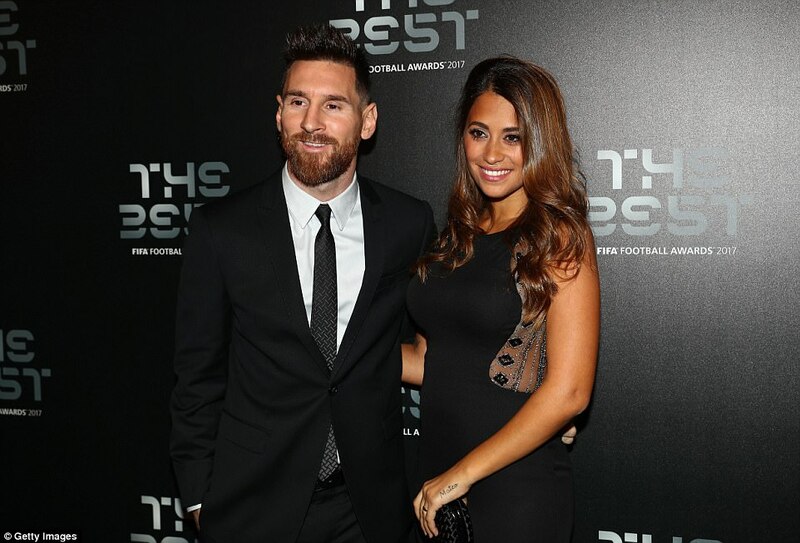 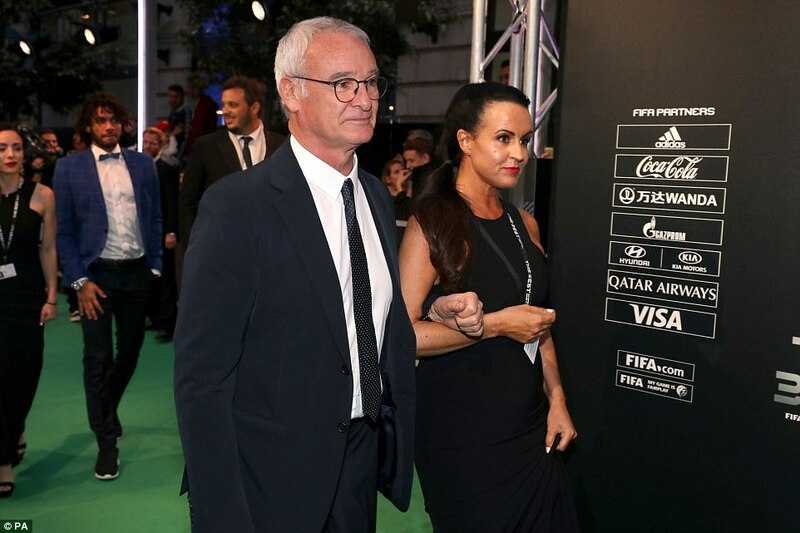 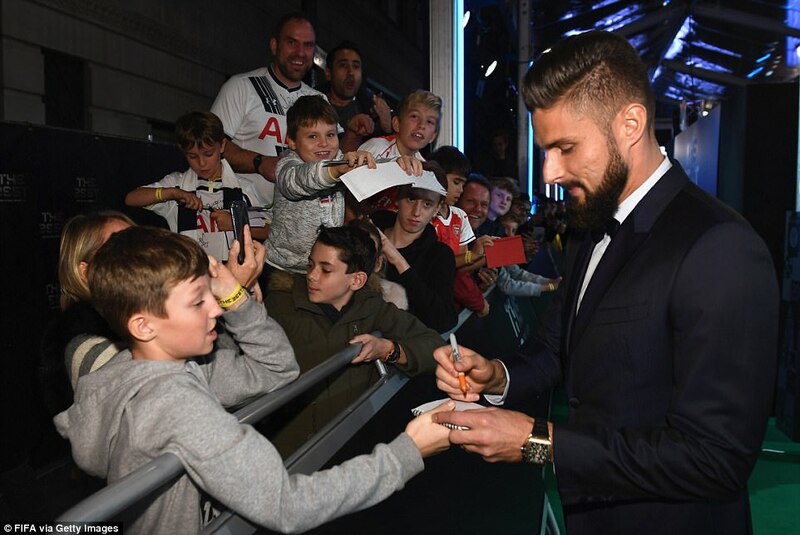 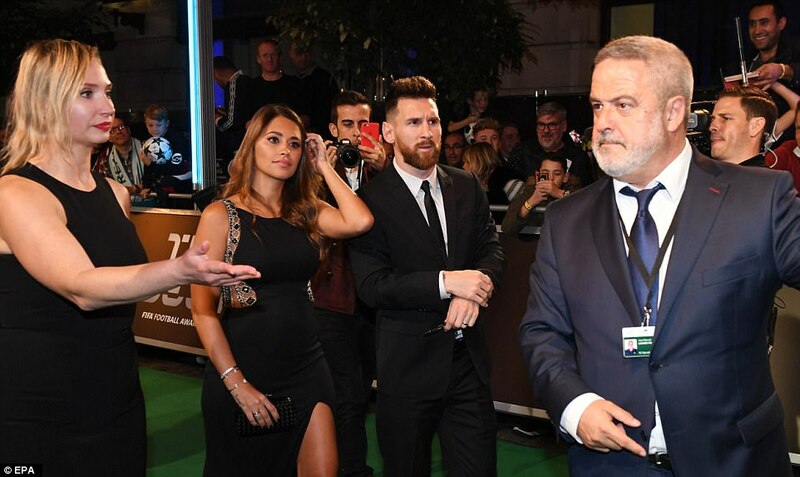 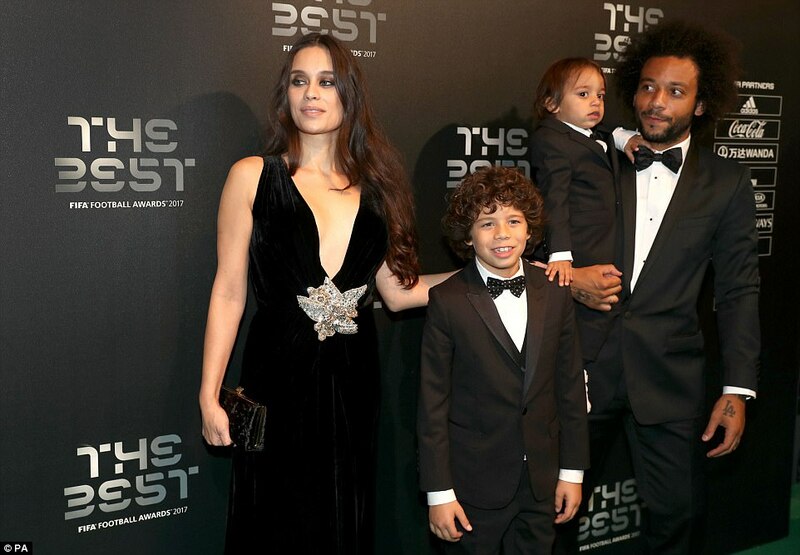 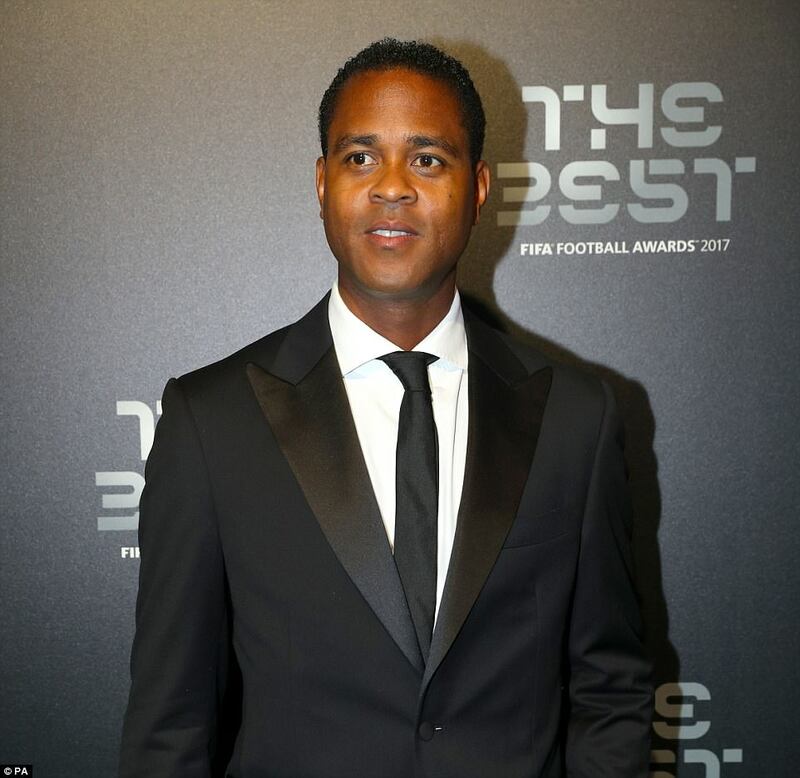 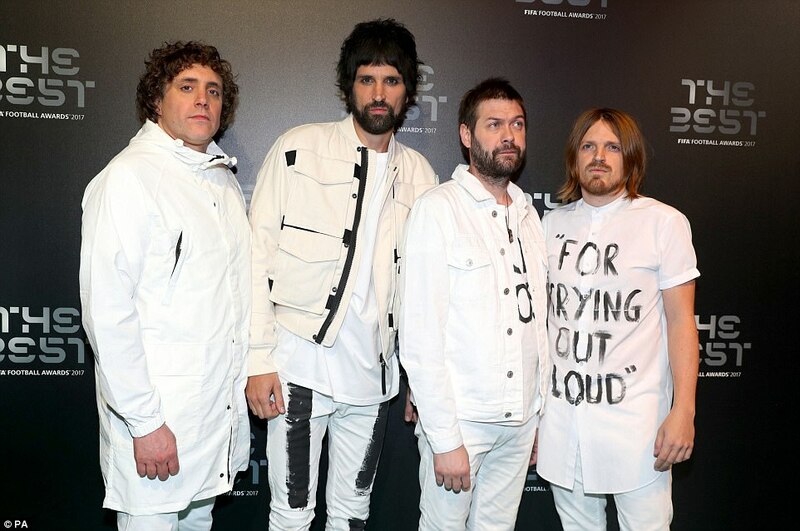 He flew into London on Monday alongside a host of other footballing stars including PSG right back Dani Alves, who turned up in a leather, studded jacket, Maradona, and Patrick Kluivert.